The Red Sox announced Thursday night the acquisition of infielder Aaron Hill and cash considerations from the Milwaukee Brewers in return for right-handed pitcher Aaron Wilkerson and second baseman Wendell Rijo. In dealing for Hill, the Red Sox acquired the right-handed hitting infielder John Farrell has been asking for. Hill provides solid coverage at first base, second base, and third base. Given that Travis Shaw has really struggled against left-handed pitchers this season (.211/.240/.380), Hill’s playing time should come primarily as something of a platoon partner for Shaw at third base. The cost to acquire Hill was on the light side, as Wilkerson was not seen as someone who could help the big league rotation and is already 27-years-old, while Rijo has struggled to adjust as he has progressed to higher levels and plays a position where the Red Sox have depth with Dustin Pedroia at the major league level and Yoan Moncada in Portland. 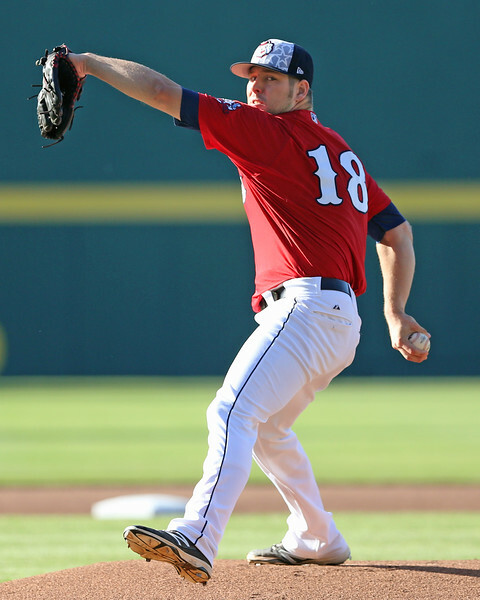 - Aaron Wilkerson, was signed as a free agent back in July 2014 when the Lowell Spinners needed rotation depth. He has taken quite a unique path to the brink of the major leagues. Wilkerson went undrafted after two seasons each at Panola College, a Texas junior college, and Cumberland University, an NAIA school in Tennessee. He then underwent Tommy John surgery late in his senior season in 2011 and was out of baseball entirely for a year while rehabbing, even working in a supermarket. He made his return to the mound playing with three different independent teams in three different leagues in 2013, then was signed midseason in 2014 from Grand Prairie of the American Association to fill a spot in the Lowell rotation. He worked primarily in a piggyback role to start 2015 before forcing his way into the Salem rotation for good after getting chances to start due to injuries. This year, Wilkerson has excelled across two levels (Portland and Pawtucket), posting a combined 2.14 ERA and 1.02 WHIP across 17 appearances (16 starts). He has thrown 92.1 innings, striking out 102 and only walking 25. While those numbers are very impressive, Wilkerson’s stuff is on the pedestrian side as he gets by more on deception and pitchability. Wilkerson has average pitcher’s frame with no remaining projection. He throws from the third base side of the rubber, coming over the top with a controlled, quick delivery that he repeats well. He gets deception in his delivery by keeping the ball behind his body and head until late and does a good job pitching downhill. Wilkerson’s fastball generally works 88-90 mph, topping out at 92. It will show run at times and cut at others, but he has solid control and will consistently throw strikes with the pitch. His command profile lags behind his control, but he can get away with pitching in the zone because hitters do not pick the pitch up until late. It’s an average fastball, one that will likely play better against the weaker lineups he will see in the National League. Wilkerson will show three secondary pitches, but none grade better than average. His curveball is the best of the bunch, a true 12-to-6 offering that will show long break with depth through the zone. He throws the pitch 73-75 mph and uses it as his primary out pitch, though it only is an average offering. Of his other two secondary offerings, Wilkerson’s changeup is ahead of his slider. He throws his change 83-85 mph with similar arm speed to his fastball, but the pitch does not have a lot of movement. He throws his slider 82-84 mph, but it is a slurvy offering that lacks bite and he does not consistently finish the pitch. The changeup is fringe-average, while the slider grades out as below-average. bonus, a figure likely driven down because he tore his ACL the spring before he was eligible to sign. Listed at 5-foot-11 and 170 pounds, Rijo has a wiry, well undersized build with some room for added strength. 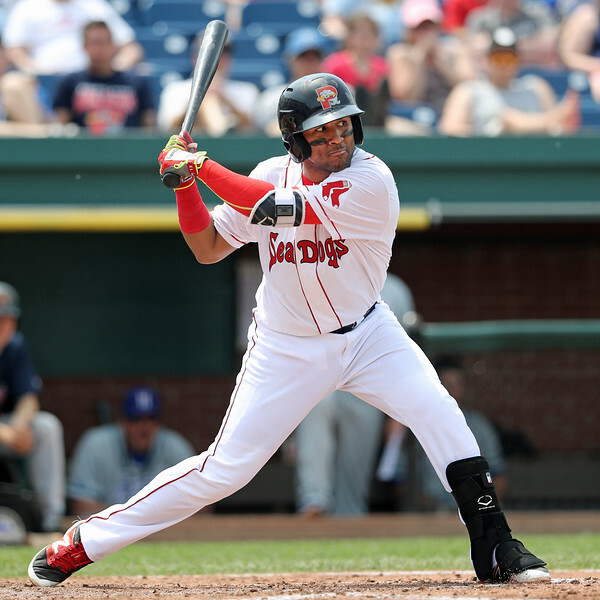 Rijo has always played a level up for his age as a professional and been among the youngest players in the league at the start of each of the past three seasons. Rijo hit a wall in 2016 at Double-A Portland after once again being challenged as one of the youngest players in the league and was demoted back to Salem after hitting .186/.245/.266 with 46 strikeouts and 13 walks in Portland. Offensively, Rijo has solid bat speed but is presently hindered at the plate due to his frequency to be caught off-balance and off-time as a result of a distinct, pronounced leg kick timing device and poor pitch recognition. The swing is a bit long, and he can be caught out on his front foot and waving at anything off-speed or breaking. There is surprising pop in his bat, particularly to his pull side, when he is able to square it up, but he does not project for much power at the higher levels with his current approach and physical strength. He reportedly was focusing on refining his trademark leg kick after his demotion, as getting his foot down on time and staying balanced, his two biggest weaknesses, can be traced back largely to issues with that part of his hitting mechanics. Rijo is also an above-average runner and can steal a base, that part of his game returning once his knee was fully rehabbed. Defensively, Rijo is a high energy and athletic defender. He moves well laterally and displays soft hands and quick transfers. However, his range is average at best, and his arm strength limits him to a second base-only profile. The most prominent weakness in his defensive game is that Rijo is prone to avoidable, unforced defensive errors. Despite his athleticism and tools, he is prone to lapse into poor fundamentals and make simple plays more difficult than they need to be, leading at times to completely unnecessary mistakes. Chaz Fiorino is Assistant Director of Scouting for SoxProspects.com. Follow him on Twitter @cbfiorino.